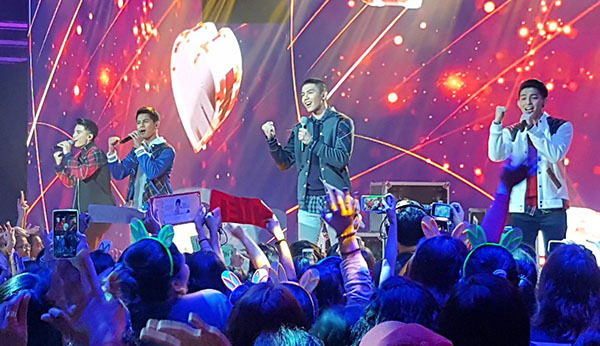 Joao, Niel Murillo, Russell, Tony sings ‘Dahil Mahal Kita’ on Pinoy Boyband Superstar 2nd Live Shows on Saturday, November 11, 2016. “I just wanna commend you with your attitude before your performance,” said Yeng Constantino. “I love this group. Everything was with you. You have a good chemistry,” said Sandara Park. “All of you, I saw potential. Russell improved but Niel improved much more. Individually, I like all of you but not so much as a group,” said Vice Ganda.